Discouragement is the loss of confidence or enthusiasm towards achieving a goal. It is a usual occurrence in the life of individual even as Christians. The only way to uproot Discouragement is to rise above Discouragement and that is to have Courage to develop Courage is ability to rise above limitations. Anyone with limitations has an embargo placed upon himself and until the embargo is lifted such individual can not move forward. A focus on Prophet Jeremiah revealed in many of his passage that he speaks with deep emotions about his suffering as God’s Prophet . The Bible says the WORD of God is like a fire in his heart and he could not hold it back. His inability to hold back the word of God elicited attack from his listeners and recipients. There is no doubt he was called by God “Before l formed thee in the belly l knew thee and before thou camest forth out of the womb l sanctified thee a prophet unto nations”jer1:5. Ordinarily one would expected that the God that sent Jeremiah would not allow him to be suffered by his haters for dishing out undiluted Gospel truth. ” But rejoice,inasmuch as ye are partakers of Christ’s sufferings; that,when his glory shall be revealed, ye may be glad also with exceeding joy”1Pet4:13. So each time Jeremiah delivered the message instead of accepting the message they would attack the message and the messenger because it heightened their anger,so they became rebellious. Jer20:7-13 spoke about Jeremiah’s nasty experience with Pashur the assistant to the highest priest and temple security. Pashur in his fiat ordered Jeremiah’s arrest.He was also beaten and locked up.That is how evil spirit locked many Pastors up with affliction just to prevent them from doing God’s duty. Jeremiah’s body got contorted because he was locked in the stocks and he was in pain and distress yet he never got discouraged rather he endured physically, morally,emotionally and above all spiritually. All for the glory of God. Are you enduring for Christ for the manifestation of his glory over your calling? When Jeremiah was released from prison he prophesied on Judah that the land shall witnessed Terror on every side. The Terror simply mean by Jeremiah is that pains will be inflicted on Judah by the Babylonians. Its an impending doom and judgement for all enemies of the Gospel of God. The God’s judgement on Pashur particularly that he would he would die in captivity of the Babylon and be buried there . Being buried outside is considered as sleeping in a gentile land regarded as unclean. The judgement against Parshur is because he had been feeding people with lies and encouraging idolatry in the temple in the name of God as its prevalent in present days among Christian leaders. Jerimah rise above discouragement and limitations, he focused on God that sent him onon errand.He focus on the Cross and shun all forms of distractions. His experience can be liken to Christ like experience. 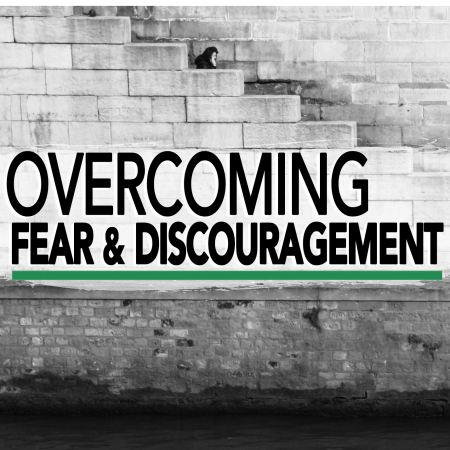 Same jerimah is telling you to rise above discouragement mostly as a servant of God. There are lots of distractions and frustration in the calling. We must strive not to be discouraged in order to fulfil God’s will. The Spirit to endure and the courage to reach the promise land shall be our portion in Jesus name.